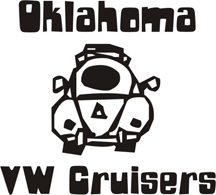 Oklahoma Vw Cruisers • Where to get a Beetle Windows Tinted?? Where to get a Beetle Windows Tinted?? So i didnt think it would be such a problem, but called around and noone wants to tint the back window on my 70 beetle ??? There is some nasty old peeling tint on all the other windows "not the back" and thinking about getting it all retinted, maybe ill just strip em and keep them bare.But think It would look like tinted again.. Anyone know anywhere to does a good job and that can tint the back window? Dont see the big deal. Re: Where to get a Beetle Windows Tinted?? Alta Mere did the wife's 78 SB, they have done 6 cars for me over the years with no complaints. Tint never faded or bubbled. Second for Alta Mere, they did three of our cars. They did a great job, no complaints.